My artistic expression originates within the tools of photography. It is through the lens that I choose to depict the beauty of reality as perceived through my minds eye. My photography has developed predominantly as black and white and always with the original intent of pre-visualizing what I want to ‘create’ rather than ‘capture’. Convinced that a black and white photo needs to stand on the merit of it’s own art whereas a colour image can have the colours ‘steal the show’. It was paramount to me that my images can stand on the virtue of their own merit as black and white images. However, as my artistic growth developed, I found the need to enhance my expression with other tools which gave birth to my ‘Painted Photographs’ portfolio. 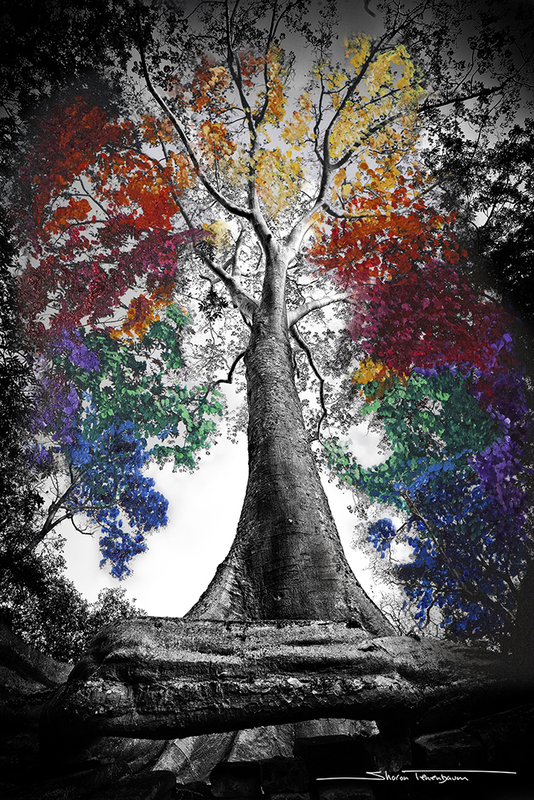 It started with my fascination with trees, something I can’t explain, innate and deep within me. 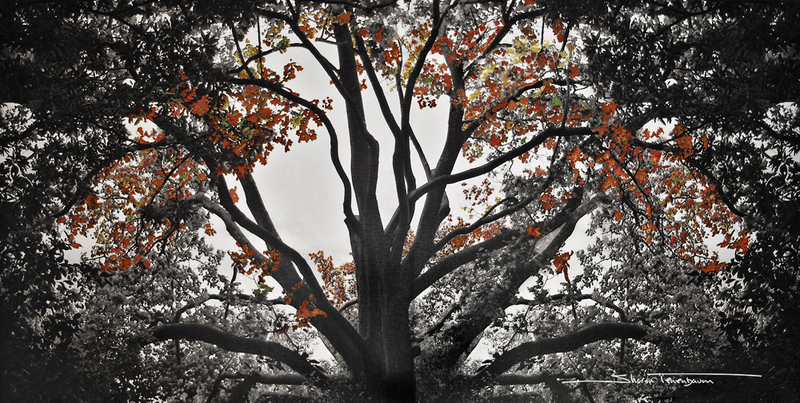 It is through my ‘Trees’ portfolio that I chose to express a contrast to my black and white. Selectively highlighting tones and shades as if creating a completely new vision and reality of a documented photograph. 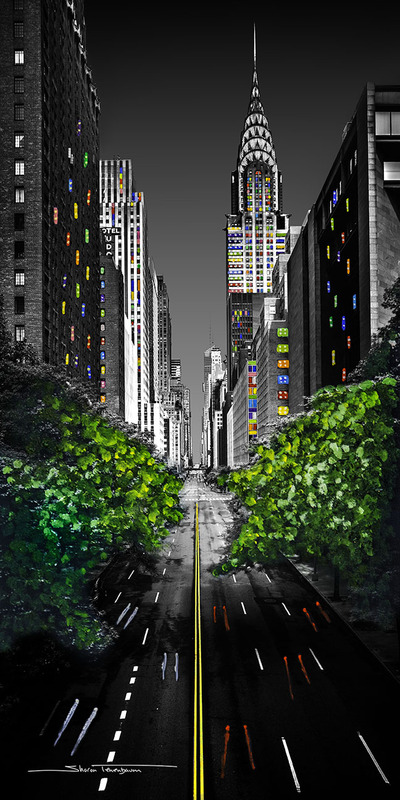 From trees I developed a new style to adopt to my urban cityscapes following the same concept but with a more linear brush style to complement the lines of the buildings and reflections. A canvas medium gives the image a more traditional, warm and painterly style look. First and foremost I make sure to take a photograph that stands on the merit of its own quality. I put significant thought into prevision, composition and post processing. 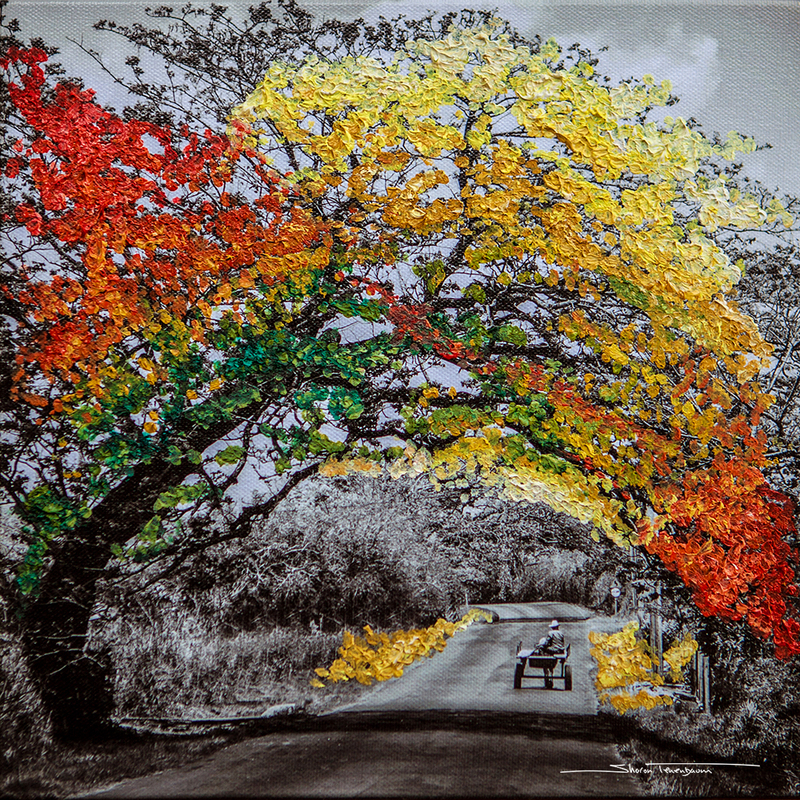 Once the photograph is complete, I print it on canvas and stretch it on a wooden frame. I hand paint the image with acrylic paint to selectively highlight a theme or concept I want to stress in the image. 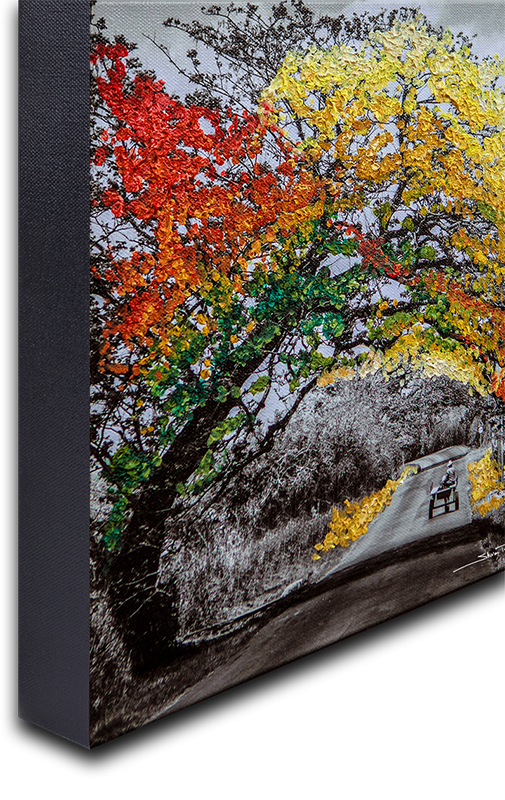 Once the painting is complete, it is hand signed coated with a UV archival fine art varnish. An image printed on canvas will have a 1-1.5'' thickness and does not require framing, it is ready to hang as is. Once the photograph is complete, it gets printed directly onto an aluminium panel. When printed on brushed aluminium there will be no white ink on the image. It will be the silver brushed natural material that will replace any white areas. This is due to the fact that there no white ink. When you see pure white in a photograph, you are actually seeing the paper / material on which it is printed. 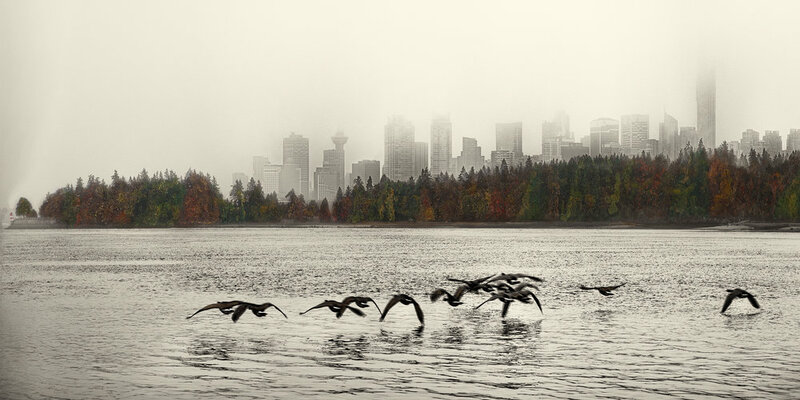 If you do prefer to have the white shown, the image can be printed on paper and mounted on aluminium and will look as if it is painted on photo paper. Once the painting is complete, I seal it with varnish and hand sign it. Brushed Aluminium Print, shows the silver natural look instead of white ink. Sits almost flush to the wall for a clean and elegant look. 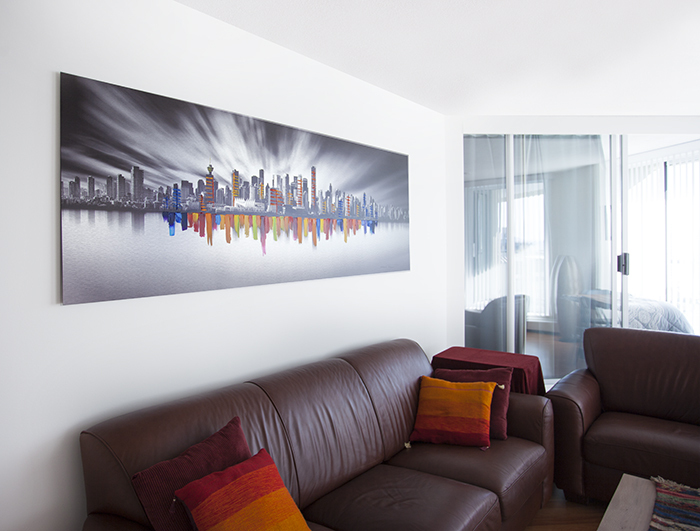 Aluminium Print, shows White just as if printed on traditional photo paper, yet mounted on aluminium panel. Sits almost flush to the wall. Aluminium Print - side view. No frame required, the image attaches to the wall with a hidden cleat behind the image. Photo Mounted on Aluminium - side view. The Painted Landscapes Portfolio is available for purchase on three mediums. 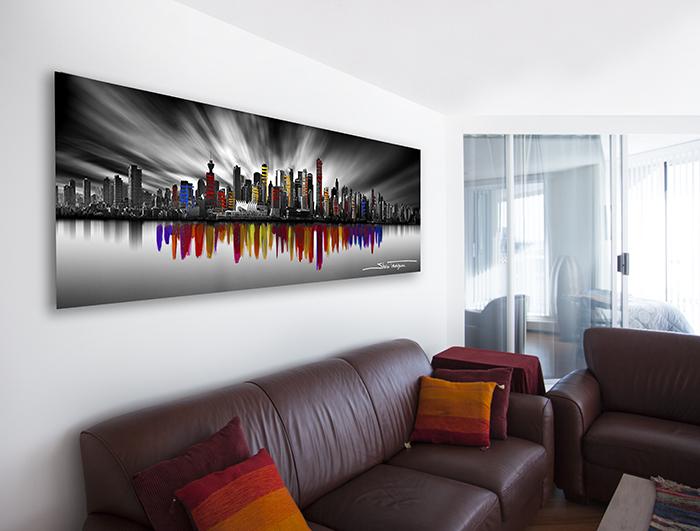 Canvas, Brushed Aluminium and Photo Mounted on Aluminium. ** Ratio means width to height length. Example: 1:3 Ratio means the length is 3 times longer than the height.